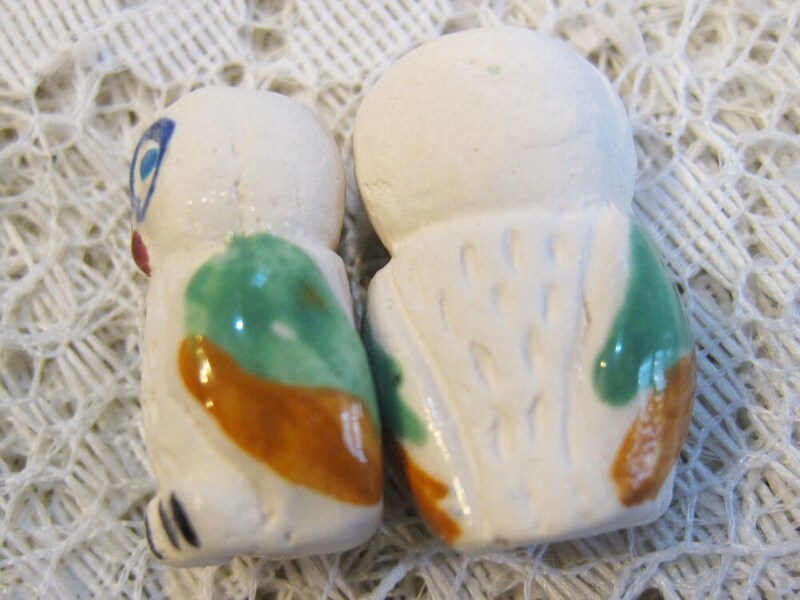 These cute white snowy owl beads were hand-shaped and hand-painted by expert Peruvian crafts people, using both flat and enamel paints. Because they are handmade there are variations in the sizes of the beads and their decoration. They are 20 mm tall, 14 mm across the front, 10 mm front to back, with generous 2 mm vertical holes - perfect for use with various cords and yarn which require a larger hole bead. You will receive 2 beads. So cute! Great for Halloween bracelet or necklace! 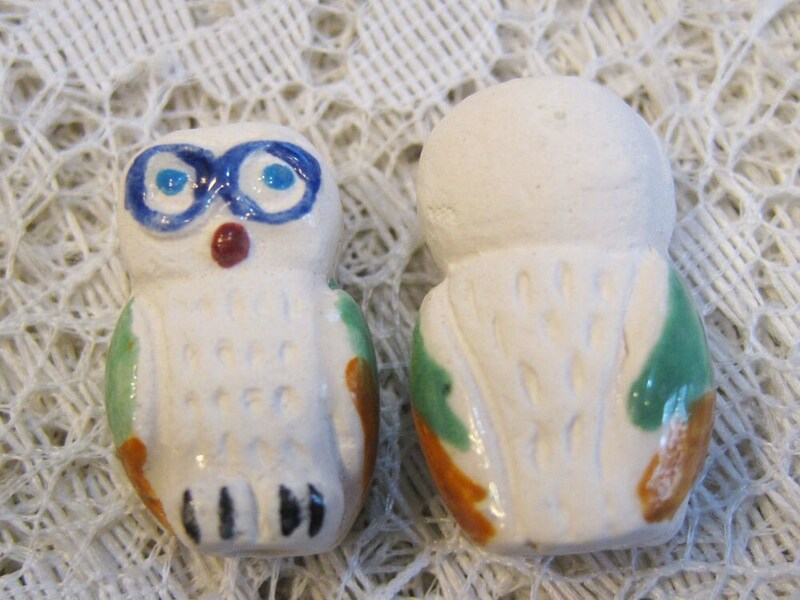 Cute little ceramic beads! They arrived quickly and in good condition.